The annual event, which was held at Loughborough University this year, brings together the UK’s top university sporting teams in a day of action-packed play offs. Big Wednesday, preceded by Trophy Tuesday, is a culmination of the BUCS team sport programme with over 40 fixtures taking place over the two days. Team Northumbria – who currently hold 8th place in the BUCS league tables – competed in a total of six Championship finals on the day, a record for the University. 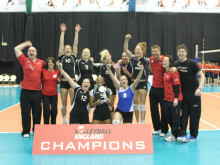 The day began with a nail-biting match between Northumbria and Durham Women’s Volleyball. The two teams matched each other set for set before Northumbria cinched a well-deserved win in the decider with three sets to two. Northumbria’s Lacrosse team then went on to defeat Birmingham and UWIC’s second team were dominated by Northumbria Women’s Rugby – who maintained their 100% record this season. 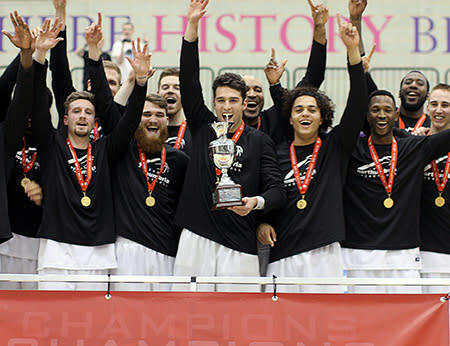 The last event of Big Wednesday was a showdown between Northumbria and Durham Men’s Basketball teams in front of a packed arena. Durham led at half-time, but Northumbria fought back to win the match by an impressive 11 points. There were silvers for the men’s second Volleyball team, the women’s first Basketball and the men’s first Rugby League teams. Colin Stromsoy, Head of Sport at Northumbria, said: “Momentum in sport is crucial for success and no other University in the country has more momentum than Northumbria at the moment. This is down to the dedication, professionalism and talent of both students and staff. 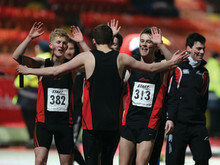 For more information about sport at Northumbria, click here.